Since my last update, we have worked hard to pass critical legislation improving student mental and physical health, health care access during emergencies, the environment, and election security. We continue to work hard to ensure that every Californian is counted in the 2020 Census, and to renew the promise of the 1960 Master Plan for Higher Education of an accessible, affordable, high quality public higher education to every California child. In addition, I introduced a resolution advocating for computer science education for all students. I hope you enjoy the updates below, and I look forward to seeing you at my upcoming community events! 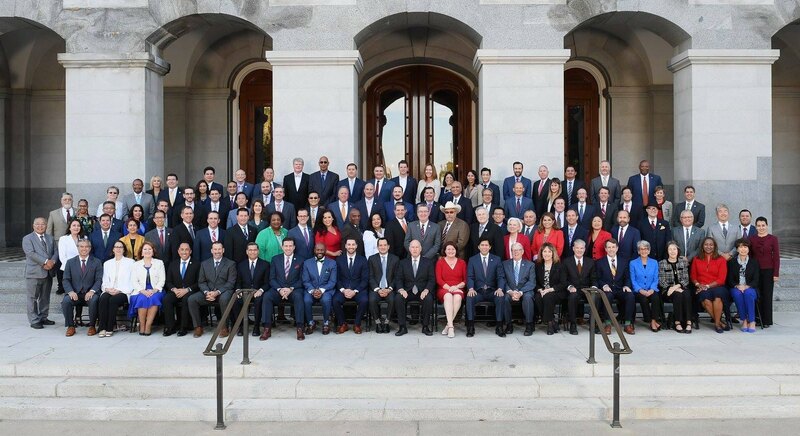 While Washington has been stuck in gridlock, 2018 was a banner year for significant policy advances in Sacramento. SB 822 – Net Neutrality: This year the California Legislature approved the strongest net neutrality rules in the nation, setting the standard for other states to follow. SB 822 would prohibit internet service providers from interfering with access to lawful content such as intentionally blocking content, charging access fees, or speeding up or slowing down service. I was proud to support SB 822 because all Californians benefit from fair and open access to the internet. The bill is pending with the Governor. SB 100 – 100% Renewable Energy: Our state also took an ambitious stride forward in our efforts to combat climate change. I was proud to coauthor SB 100, which commits California to 100% clean energy by 2045. SB 10 – Bail Reform: The legislature took the bold step of eliminating the current money bail system and replacing it with a fundamentally fairer and safer pre-arraignment and pretrial release system. This legislation was modeled in part after Santa Clara County’s successful pretrial services program which makes recommendations to the courts regarding whether an individual should be released on their own recognizance, released under certain conditions, or detained before trial. SB 834 and AB 1775 – Offshore Drilling: California took a stand against the Trump Administration’s plans to endanger coastal California by opening more areas to offshore drilling. These bills effectively prohibit any further offshore drilling for oil and gas along our coastline after January 1, 2018. 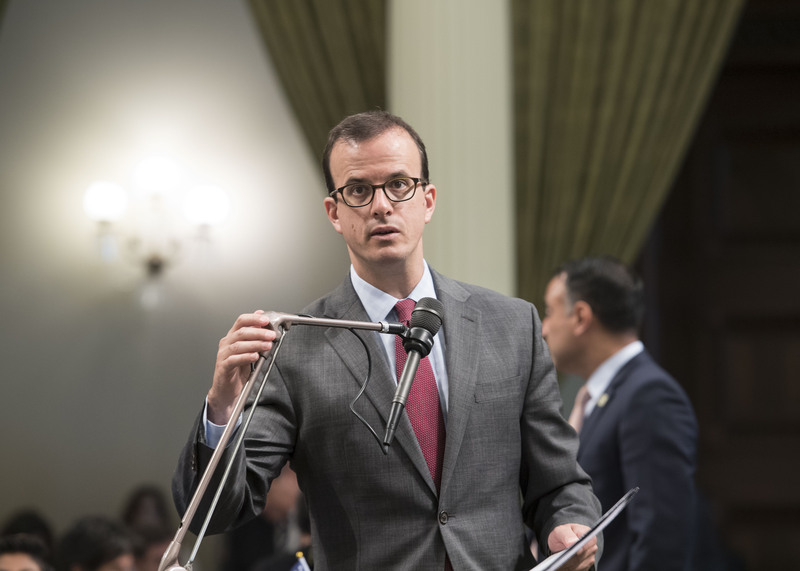 AB 2188 – Clean Money: I was proud to be principal co-author of the Disclose Act in 2017, which provided California with the strongest campaign finance disclosure laws in the nation. This year, I supported follow up legislation authored by Assemblymember Kevin Mullin to ensure that this important law also applies to campaign advertising on social media platforms. The bill is pending with the Governor. Just like that, the 2017-18 Legislative Session is over! We have achieved some real successes, including securing $5 million in the budget for Tunitas Creek and Martins Beach, $1.7 million for suicide prevention training for students, teachers, and administrators, $143.3 million for elections security and voting machine upgrades, as well as an unprecedented $90.3 million to ensure that every Californian gets counted in the 2020 Census. In addition to that, 18 of my bills made it to the Governor this year, thirteen of which have already been signed. Governor Brown has until September 30th to sign or veto bills, and I have high hopes that he will sign many more of my bills in the coming weeks. AB 3075 – Securing California Elections from Cyber Threats: Since the 2016 elections, there has been a heightened focus on election security and on the increasingly sophisticated threats posed to our elections systems. An assessment by the United States (U.S.) intelligence community concluded that Russia attempted to influence the election in an effort to "undermine public faith in the U.S. Democratic process." In response, this bill creates the Office of Elections Cybersecurity, which will be responsible for protecting election infrastructure from cyberattacks and for counteracting misleading information about elections. AB 2218 – Vote by Mail Ballot Tracking: In all but one statewide election since 2010, a majority of California voters cast their votes using vote by mail (VBM) ballots, and as of November 2016, 51% of registered voters in California were signed-up as permanent VBM voters. This bill would require the Secretary of State to establish a system that allows VBM voters to sign-up to receive information by email or text message about the status of their ballots as they are counted. AB 1678 – Voter Information: Storage and Security: Recent breaches of voter data and the spread of false information about voting have threatened the integrity of our elections. This bill strengthens how voter data is stored and secured and establishes criminal penalties for spreading false information about when, where, and how to vote. AB 2639 – Pupil Suicide Prevention Policies: This bill would require schools with suicide prevention policies to review them at least every five years and, if necessary, update these polices. It builds upon previous legislation from 2016, which requires schools serving students in grades 7 to 12 to adopt a suicide prevention policy in consultation with school and community stakeholders, mental health professionals, and suicide prevention experts. AB 2941 – State of Emergency: Preserving Health Care Coverage: A bill idea proposed by a constituent, this bill requires a health plan and health insurer to ensure that patients who have been displaced by a state of emergency, such as wildfires, floods or other natural disasters, have continued access to medically necessary health care services. Under the new law, health plans and insurers could authorize care by an out-of-network provider, extend filing deadlines for claims, suspend prescription refill limitations and allow prescriptions to be refilled at an out-of-network pharmacy, relax time limits for referrals, and allow for medical equipment or supplies to be replaced. AB 3043 – Improving School Nutrition Programs: Good nutrition is essential for learning in school. This bill would improve access to school nutrition programs by allowing schools to use their cafeteria funds to offer Universal Breakfast, a program that provides a free nutritious breakfast to all students, as well as purchase food trucks to provide additional points of service, which would help expand access to school meals while maintaining nutritional standards. AB 1957 – Social Services: Communications: Texting: This bill would modernize state laws governing communication for CalFresh and CalWORKs, while ensuring that the privacy rights of applicants and recipients are protected. Santa Clara County has been able to significantly reduce the number of families who lose benefits by providing alternative means to communicate with beneficiaries. 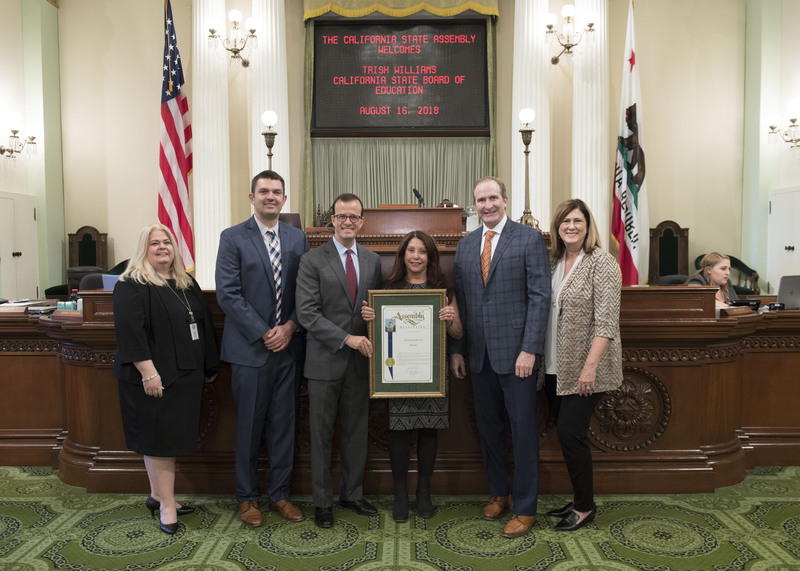 AB 2592 – Secretary of State: Census Outreach and Education: With the federal decennial census rapidly approaching, California must ramp up its efforts to raise awareness about the 2020 Census and encourage every resident to participate. This bill would require the Secretary of State to include information about the 2020 Census in public election materials such as the state voter information guide and on the Secretary of State's website. 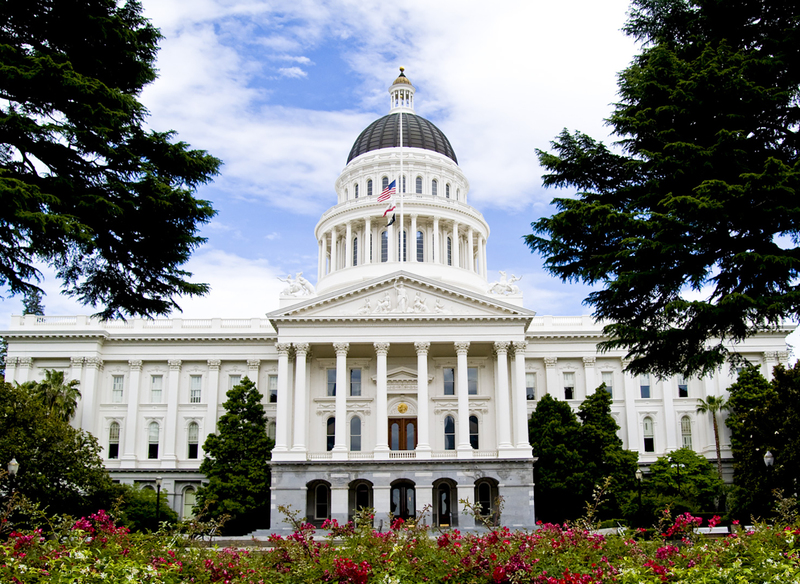 AB 1619 – Sexual Assault: Statute of Limitations on Civil Actions: This bill would establish a statute of limitations for the recovery of civil damages specific to sexual assault or attempted sexual assault that occurred on or after the plaintiff’s 18th birthday. Under this bill, plaintiffs would have ten years from the date of a sexual assault or three years from the date of discovery of an illness or injury that resulted from a sexual assault, whichever is later. AB 2908 – Tire Recycling Incentive Program: Far too often tires are illegally dumped along the sides of roads or in our waterways. In order to substantially increase tire recycling and reuse, and reduce waste, this bill would create the Tire Recycling Incentive Program, which would provide incentive grants to manufacture products from used tires. For a complete list of the bills I authored this year, please visit my website. It has been an honor representing the 24th Assembly District, and I look forward to building on the progress we’ve made next year! In 1960, California developed a visionary plan for the future of higher education. Known as the Master Plan, the document has provided guidance to the state’s higher education systems for nearly 60 years. However much has changed since the Master Plan was written, and California’s higher education system must respond to a host of issues never previously envisioned. I’ve led the critical effort to review the Master Plan as Chair of the Assembly Select Committee on the Master Plan for Higher Education in California, which is dedicated to ensuring that our higher education system works for the students of today and the future. On August 14th, I convened the Select Committee for a hearing about higher education finance. Representatives from the Legislative Analyst’s Office, College Futures Foundation, the California Student Aid Commission, and The Century Foundation discussed the challenges of funding higher education in California including revenue volatility, rising tuition, and deferred maintenance. 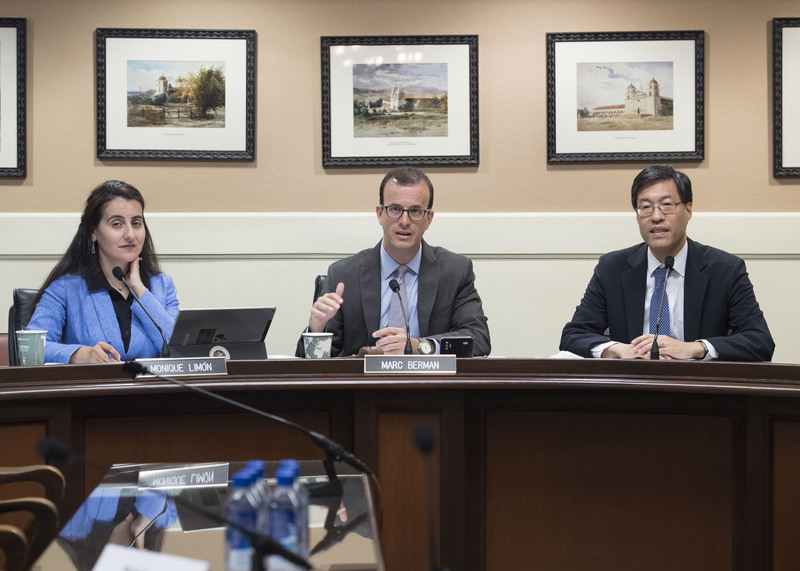 They also provided recommendations to simplify the Cal Grant program and reform financial aid to better account for students’ cost of living. This hearing marked the fifth and final hearing of the 2017-18 Legislative Session and the Select Committee’s information-gathering phase. Early next year, the Select Committee plans to release a report summarizing the progress of the last two years and identifying topics to focus on moving forward. I’m committed to restoring the Master Plan’s promise of an affordable, accessible, and high quality higher education for California students. Please stay tuned as the work of the Select Committee continues. California is the hardest-to-count state in the country, even without the many unprecedented challenges we face today. Even in the 24th Assembly District, the predicted nonresponse rate – the share of households that the Census Bureau estimates will not return census forms – is 8.9%. In order to ensure that California receives the federal funding and political representation that we rightly deserve, we must significantly increase our efforts to raise awareness about the census and encourage all Californians to participate. 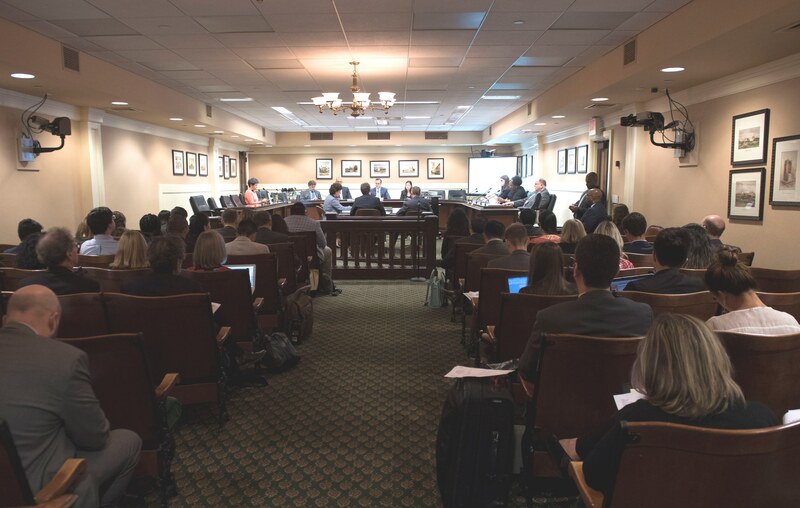 In August, the Assembly Select Committees on the Census and the Nonprofit Sector and the Senate Select Committee on the United States 2020 Census convened for a joint hearing to discuss the critical role nonprofits and local governments will play in ensuring that all Californians are counted in the 2020 Census. As trusted messengers, nonprofit and local leaders can help communities overcome barriers to participation. For example, they can dispel fears about participating and ensure residents have access to the internet or a physical copy of the form. If you’re interested, the hearing is available for viewing online. For more information about the 2020 Census, please visit my website or http://www.census.ca.gov. Computer science is transforming industry, bolstering productivity, and driving job creation and innovation in California. Access to computer science education for all students, especially young women and underrepresented minorities, is critical to ensure that California remains competitive in the global economy. That’s why I introduced Assembly Concurrent Resolution 265, which designates September 2018 as California Computer Science Education Month. This spotlight on computer science coincides with the State Board of Education’s adoption of California’s first-ever model computer science standards. The Butano Creek Channel Reconnection and Resilience Project began this month! 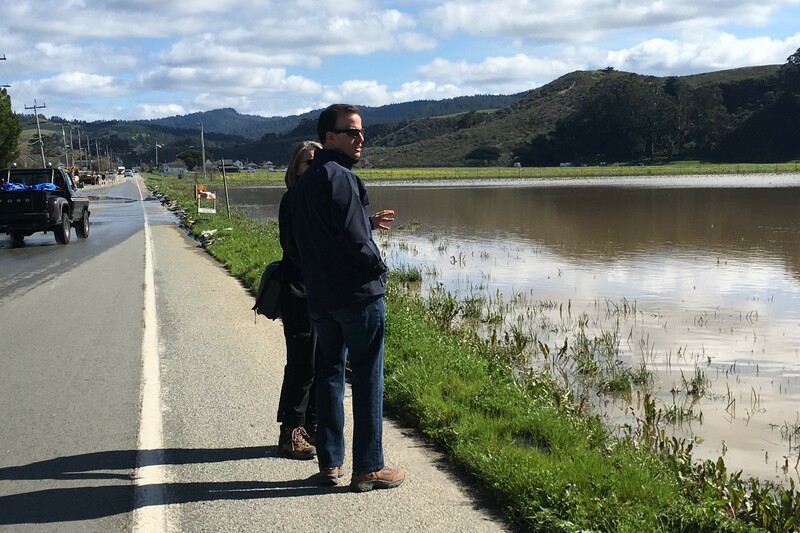 Administered by the San Mateo County Resource Conservation District, the project will reduce chronic flooding in Pescadero, restore fish habitat, and prevent yearly fish kills. Last year, I worked with Senator Jerry Hill and Assemblymember Kevin Mullin to secure $4 million in the state budget to set this project in motion. For more information, please contact Kellyx Nelson, Executive Director of the San Mateo County Resource Conservation District, at kellyx@sanmateorcd.org or call (650) 712-7765. 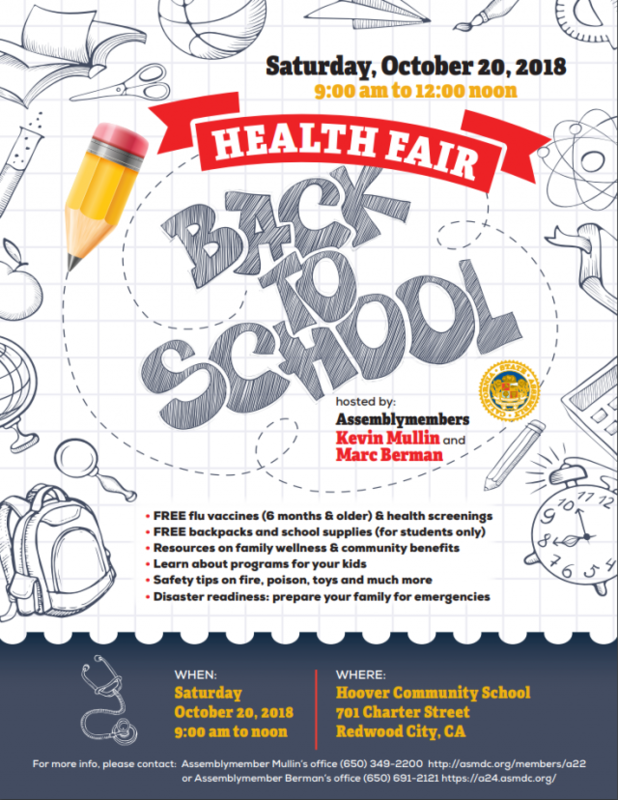 Stop by the Back to School Health Fair that Assemblymember Kevin Mullin and I are hosting in Redwood City on Saturday, October 20th. Free flu vaccines and health screenings will be available as well as free backpacks and school supplies for students. Additional resources will be available to help you ensure your child’s health and safety throughout the school year. For more information, please visit my website.